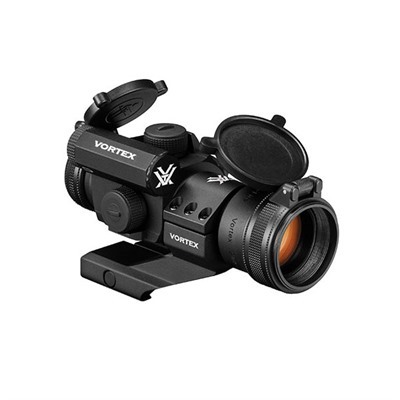 Vortex Strikefire red dot sight, discontinued version. Note this is the now discontinued Vortex Strikefire – now replaced by the Vortex Strikefire 2. 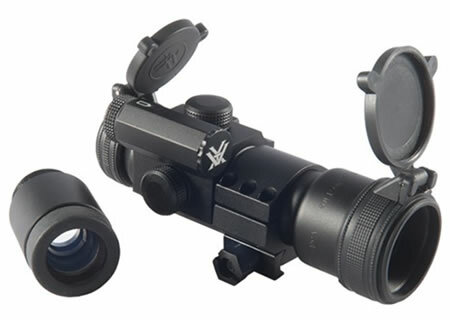 SF-BR-AR15 – Tactical model with a red aiming dot, and an extra-height ring mount to position the scope at the correct height on a flattop AR-15. SFRD-HUNT – Lets you switch between a red dot and a green dot at the touch of a button to set the best color for the prevailing light conditions. 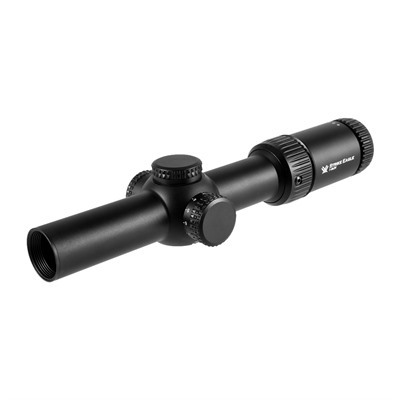 Comes with a low mount for installation on close-range hunting or tactical rifles. 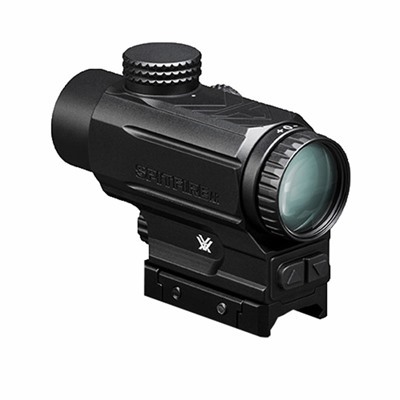 Both models of the Vortex Optics Strikefire run on one CR-2 lithium battery (included) that provides up to 130 hours (red) or 420 hours (green) run time at maximum brightness setting. 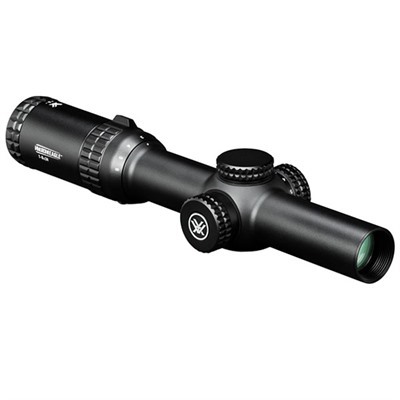 The sight has a 30mm objective diameter, is 6.1″ long and weighs 7.2 oz. Check the price of the Vortex Strikefire at Brownells, a name you can trust. We hope you find this video on how to build an AR15 of interest! This entry was posted in Vortex and tagged Vortex. Bookmark the permalink.